The following video is a general description of how Google’s Deep Dream computer vision (image recognition) works. Deep Dream uses a convolutional neural network to look for patterns in an image or video based on large sets of images previously analyzed for defining characteristics. The beauty of Deep Dream is that it can modify images to accent fragments within the image to more closely resemble the aspects from images it has previously evaluated. The effects of such augmentation can be quite striking; creating strange, almost psychedelic, results. 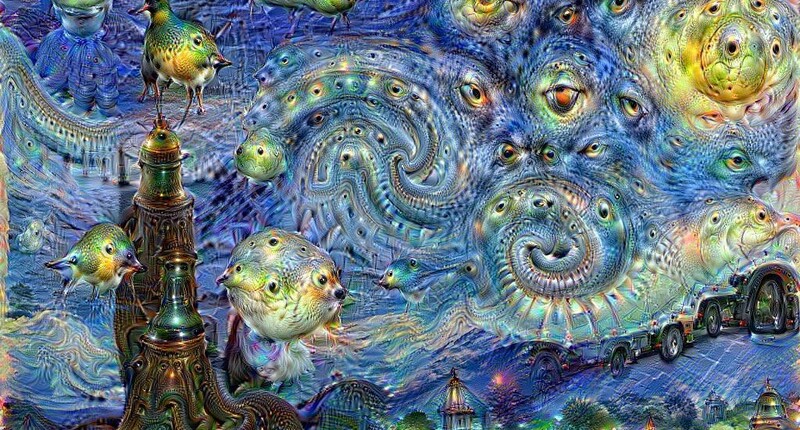 Surreal images created by Google’s Deep Dream code flooded the internet in 2015 but how does deep dream do it? Image analyst Dr Mike Pound.